Deck 13 have probably heard the name Dark Souls a lot. The studio’s last game, Lords of the Fallen, was frequently described in shorthand as “a bit like Dark Souls,” and now their new sci-fi RPG, The Surge, well… it’s also a bit like Dark Souls. At least at a glance. The game’s sort-of inspiration made our list of the best RPGs on PC. The comparison isn’t necessarily a bad thing, says CEO Jan Klose, but he doesn’t want the game to be pigeon-holed or stuck in the shadow of From Software’s challenging series. For every similarity, there’s a twist or a feature that makes it look like The Surge might be charting its own course. 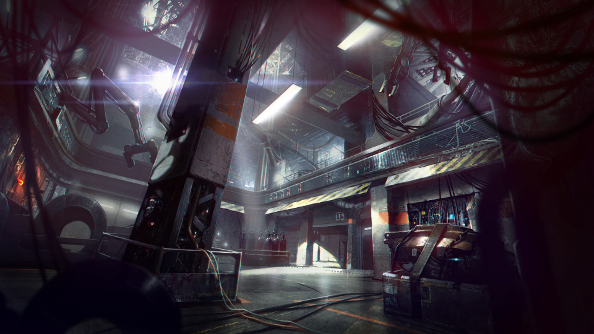 A scrap in The Surge is a dance fraught with danger. Even the basic enemies, grunts encased in intimidating exoskeletons, can spell death for players who lack caution. Fights, then, are thoughtful things, with lots of standing back and judging the situation before diving in for a few well-timed strikes and then rolling away, out of the path of a devastating retaliation. 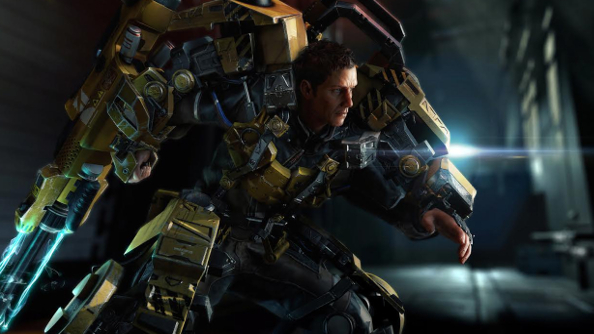 The Surge is only too happy to throw foes at you that you’re just not ready to fight. They might be patrolling a corridor leading to an area you want to explore, and you can certainly try to get past them if you want, but you might be better off waiting until you’re more powerful. If you try and try and try and eventually defeat them, though, then you’ll reap the rewards much sooner. Essentially, combat is about finding weak spots and exploiting them. But that’s only if you want to get the fight over with, quickly. There’s another option in situations where you might notice that your foe is wearing some nifty looking mechanical gear. 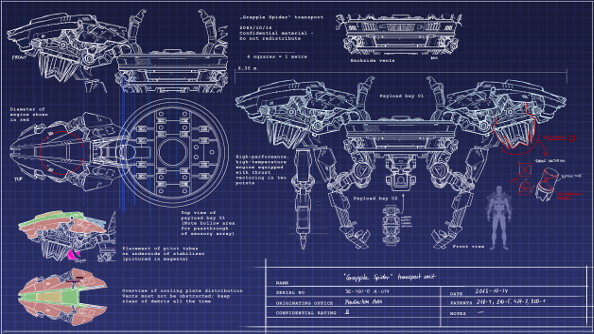 Targeting the gear that you want is trickier, and might make the fight go on for longer, but the payoff is lovely junk that you can fit onto your own frame or scan for blueprints, potentially making future battles easier. Gear is more than weapons and armour, though. Implants can be discovered and crammed inside your body, with game-changing effects. While some implants offer more conventional bonuses, like health regeneration, others change the HUD, revealing enemy health bars and weak spots, lowering the difficulty a bit if you’re finding the fights too tricky or simply want more information. It’s your first day at work and things have not gone to plan. You play one of the lucky few in a future dystopia who has been able to find a job, working for a company while strapped into a hefty Edge of Tomorrow-style suit. Unfortunately, you awake after the procedure to find that everything’s gone to Hell. A very robotic Hell. Day one of your new job is probably going to make you wish you were back on the dole. 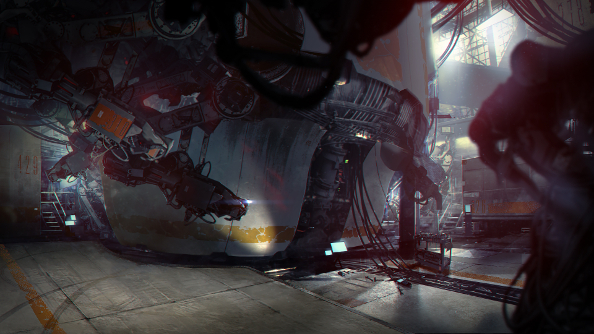 The future world of The Surge has a maze-like quality as well. Routes have to be planned again or risks taken when paths suddenly become blocked by a deadly foe, locked doors and depowered elevators. Some might be easy to overcome, but others might be insurmountable obstacles without further exploration and more power. 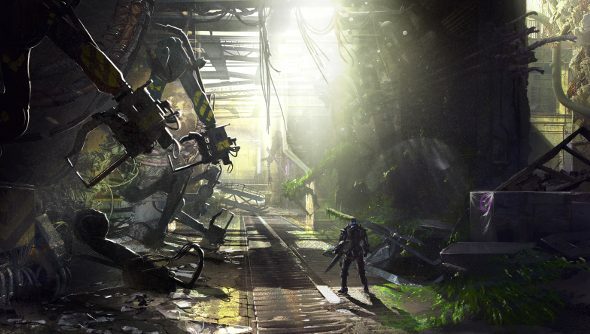 The mysteries woven through The Surge will be things that players should be able to piece together in the end. Klose promises hidden secrets and answers that won’t necessarily be discovered by someone just playing once, and there will be room for speculation. But it won’t be as “dark and mysterious” as Dark Souls, says Klose. Players will start off as clueless as the everyman protagonist, but by exploring the robot-infested future, the fog will start to lift. Along with the environmental storytelling, there are also more overt things, like rifling through mail and rudely reading people’s letters. The future is a bit awful. Big companies, the Googles of the future, run the show, and people like the protagonist are just happy to get a job with them in what has become a very hostile environment. It’s all pretty gloomy even before he blacks out and wakes up in a world full of things that are trying to kill him. Like Lordran, it’s a fallen, cursed place, though its troubles are seemingly technological in nature, an abuse of science, rather than Dark Souls’ magical problems. 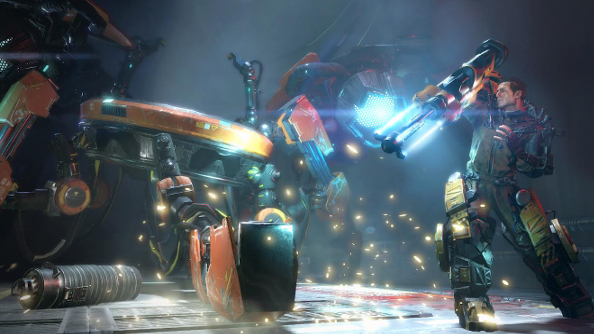 It’s still a game where you’ll rip off limbs and punch building-sized robots while sort of dressed a bit like Matt Damon in Elysium. It’s a little silly. I watch another man’s leg get knocked clean off, its bulky metal armour quickly removed and plonked on the increasingly mechanical hero. The Fallout comparison seems apt. 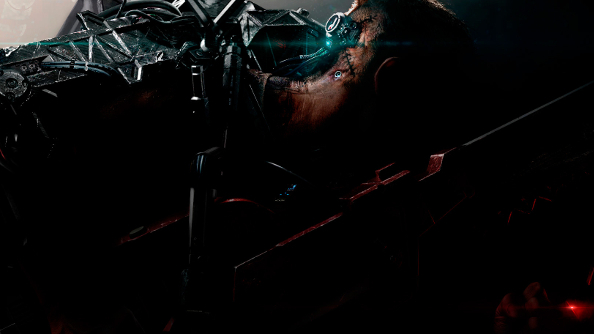 The Surge is still in early alpha and is expected out in early 2017.